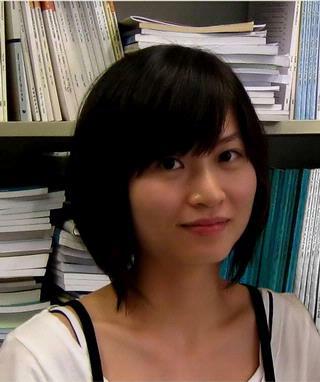 As a biostatistician, Dr. Tong Tong Wu’s research interests include high-dimensional data analysis, survival analysis, machine learning, longitudinal data analysis, and computational biology and statistical genetics. She is also interested in statistical applications and collaborations in various biomedical areas, such as cancer, HIV, epidemiology, psychology, and medical engineering. Chang, J., Tang, C.Y., and Wu, T.T. (2017) A New Scope of Penalized Empirical Likelihood with High-Dimensional Estimating Equations. Annals of Statistics, accepted. Wang, B., Wang, H.-W., Guo, H., Anderson, E., Tang, Q., Wu, T.T., Falola, R., Smith, T., Andrews, P.M., and Chen, Y. (2017) Optical Coherence Tomography (OCT) and Computer-Aided Diagnosis (CAD) of a Murine Model of Chronic Kidney Disease (CKD). Journal of Biomedical Optics, accepted. Groth, S.W., LaLonde, A. **, Wu, T.T., and Fernandez, I.D. (2017) Obesity candidate genes, gestational weight gain and body weight changes in pregnant women. Nutrition, accepted. Xiao, J., Huang, X., Alkhers, N., Alzamil, H., Alzoubi, S., Wu, T.T., Castillo, D., Campbell, F., Harokopakis-Hajishengallis, E., Koo, H. (2017) Candida albicans and Early Childhood Caries: A Systematic Review and Meta-analysis. Caries Research, accepted. Aditya, P., Sen, R., Oh, S.J., Benenson, R., Bhattacharjee, B., Druschel, P., Wu, T.T., Fritz, M., and Schiele, B. (2016) I-Pic: A Platform for Privacy-Compliant Image Capture. ACM MobiSys 2016 TPC, 235-248.